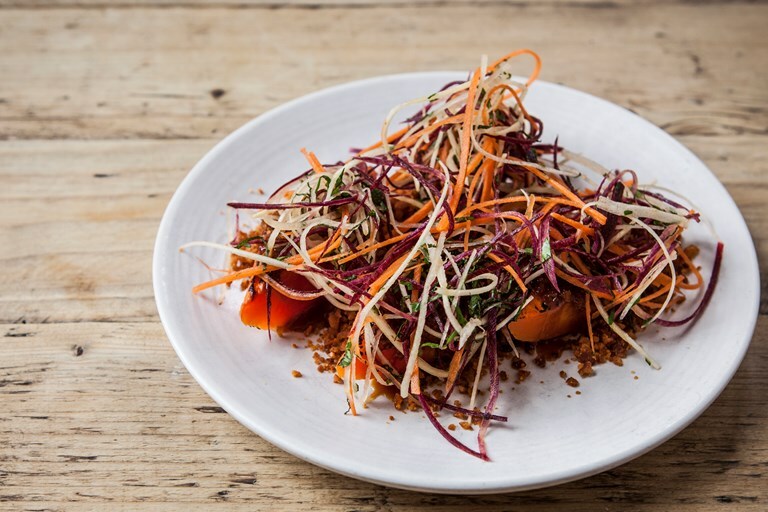 This fermented carrot dish by Michael Bremner is all about balance of flavour. Salty, umami miso butter is brushed generously over the carrots, which are topped with a tangy and fragrant raw carrot salad. The roasted peanut crumb is flavoured with paprika and cayenne pepper, lending a luxurious richness and warmth to the dish. To make the whey for fermenting the carrots, follow our guide.